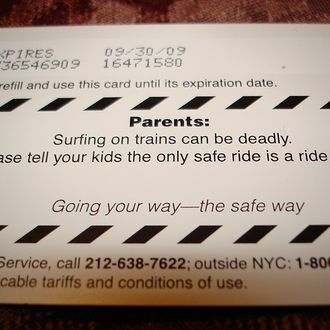 You know how the MTA is always telling you (with good reason) not to surf the outside of subway cars? Well, Long Island Railroad doesn’t do that, at least that we’ve seen. So what happened? A New York Daily News photographer got a shot of a guy lying on the roof of an LIRR train, full backpack protruding, looking pretty comfortable with the whole thing, at least from a distance. Those rides are a lot longer than the subway, so let’s hope he was.